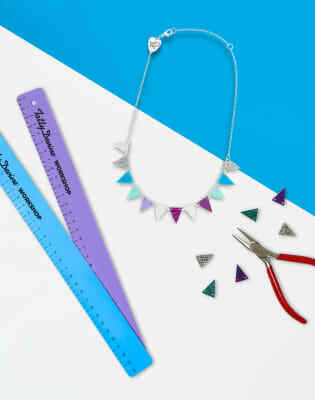 Design your own classic Bunting Necklace in the original Tatty Devine studio! 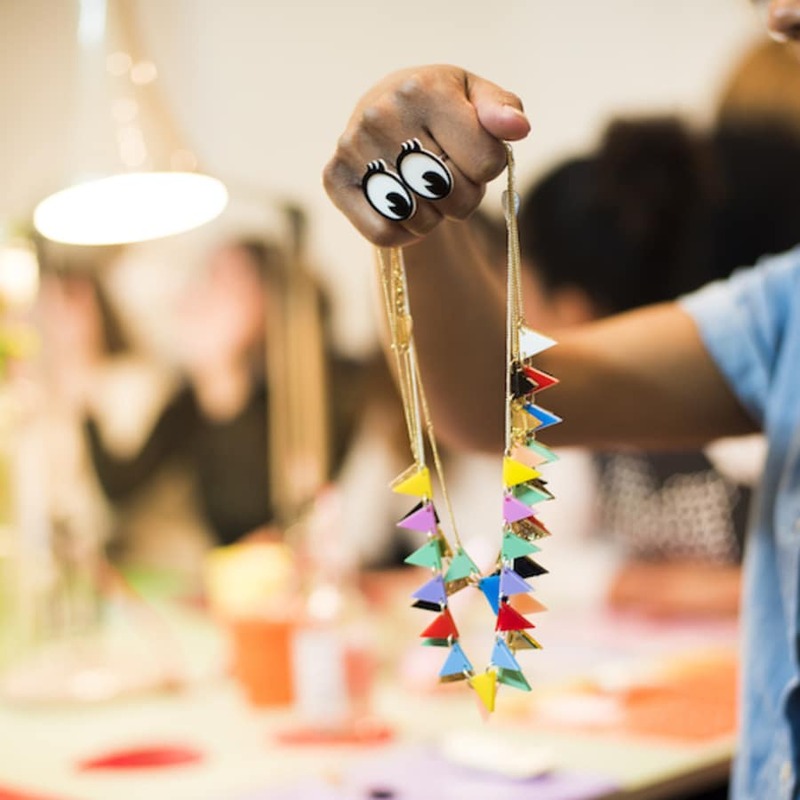 Take part in a jewellery workshop at Tatty Devine. Create a classic Bunting Necklace in a tweleve flag design unique to you. With over 30 colours to choose from: think prints, neons, glitter and mirror! Once you’ve decided on your design, Team Tatty will be on hand to teach you how to hand link it all together to a chain of your choice. Tatty Devine is the go to brand for original, fun, acrylic statement jewellery. Founded in the heart of East London in 1999 by Harriet Vine MBE and Rosie Wolfenden MBE, all jewellery is still designed and handmade in house by a passionate and skilled team. Alongside their Classic, Seasonal, Contemporary and Personalised collections, Tatty Devine love collaborating with artists, designers and their favourite cultural spaces creating special collections throughout the year. All of Tatty Devine’s collections are sold online and in their two London stores. New designs, as well as iconic pieces from their archive, are highly coveted and collected by a loyal fan base from all over the world. We've hosted over 50 Bunting workshops and never seen two the same! 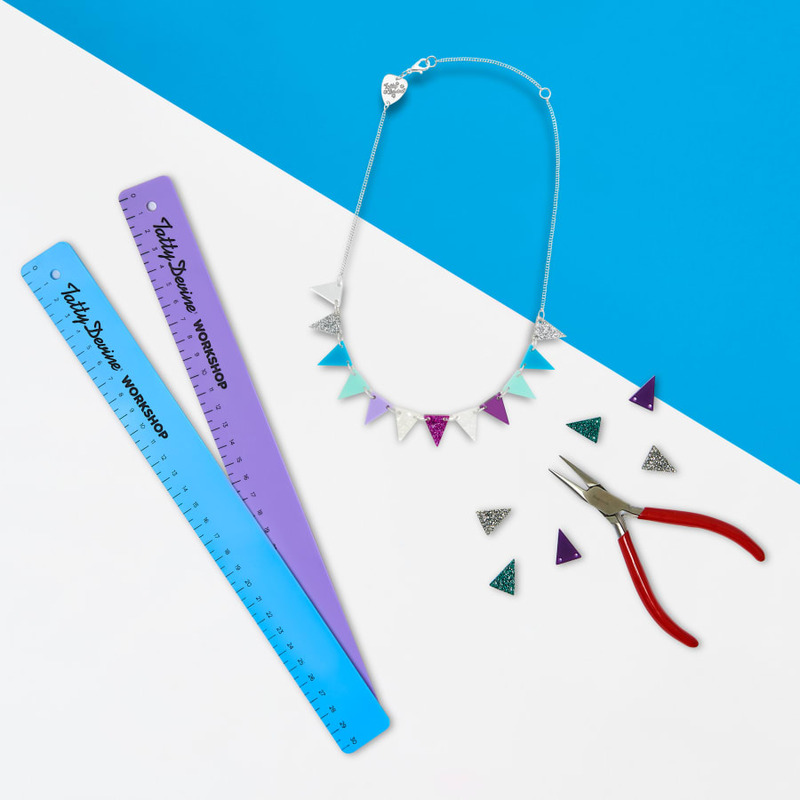 Tatty Devine is the go-to brand for original, fun, acrylic statement jewellery. Founded in the heart of East London in 1999 by Harriet Vine MBE and Rosie Wolfenden MBE, all jewellery is still designed and handmade in house by a passionate and skilled team. Alongside their Classic, Seasonal, Contemporary and Personalised collections, Tatty Devine love collaborating with artists, designers and their favourite cultural spaces creating special collections throughout the year. All of Tatty Devine’s collections are sold online and in their two London stores. New designs, as well as iconic pieces from their archive, are highly coveted and collected by a loyal fan base from all over the world. This is a beginners workshop suitable for those who have no experience using pliers. Please wear flat, closed-toe shoes.